Equipment Safety Systems Pty Ltd (EQSS) is a leader in the design and development of computer safety systems for the construction equipment industry. This Australian owned and operated company prides itself on being at the forefront of modern and cutting-edge technology and provides their clients with effective safety systems, which exceed compliance standards. 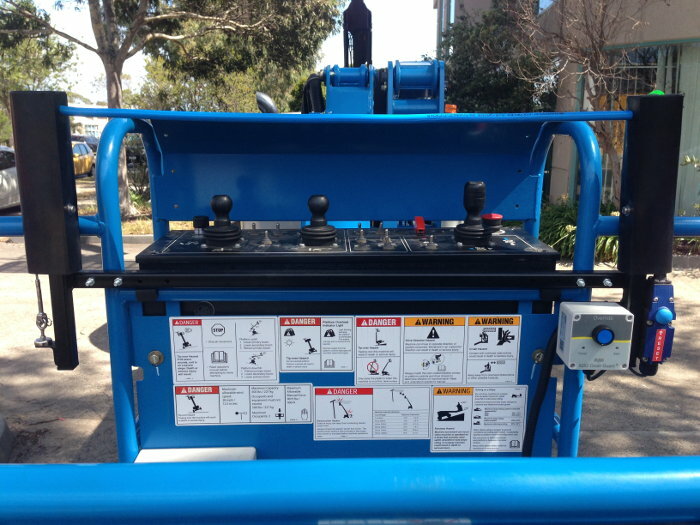 The EQSS Gen3-LMS is a load management system designed in Australia for use with telescopic handlers. It features an on screen rating chart for each attachment. The rating chart is colour shaded depending on the weight of the load. Allowing the telehandler operator to easily see how far the boom can be extended just by lifting the load. The Gen3-LMS displays the stability triangle of the telehandler. Cross-hairs mark the centre of gravity within the stability triangle. When lifting a load while on a lateral side slope the Gen3-LMS will warn the operator if the boom is raised too high, preventing the telehandler from tipping over the side. The 7 inch wide screen sunlight readable colour display comes integrated with a reversing camera as standard, as well as a front blind side camera to show past the boom and an optional remote camera mounted on the top of the boom to allow the operator a view of the load with a press of a button. 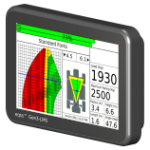 The Gen3 LMS is our third generation load management system for telehandlers. It allows the operator to work with the rated capacity of the attachment. It shows the operator the current postition within the rating chart on the 7 inch colour screen. It also comes equiped with a reverse camera. 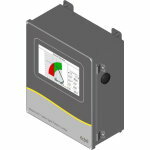 The EQSS Model 6252 Crush Guard® is a secondary guard solution for EWPs, which utilises a pressure sensitive trigger spanning across the operator controls. 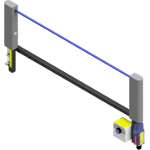 The safe flight pattern limiter restricts the elevated work platform to operate only within the safe working area. It also prevents operation if the carrier is not level. 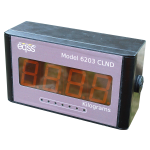 The CLND is a large numerical display for industrial weighting systems. 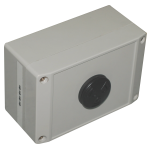 When connected into any load sensor it displays the load with an accuracy of 1 Kg via four 2.25" LED digits. Allowing the operator and others around the machine easy access to the loading values. Suitable for truck mounted cranes, maximum load limiting and lifting applications to meet mine spec requirements. The CDIM uses a digital inclinometer with an accuracy of 0.1 degrees to measure the pitch and yaw of the attached carrier. Suitable for small drivable man platforms. It uses an audible alarm to alert the operator when getting close to the angle limit.